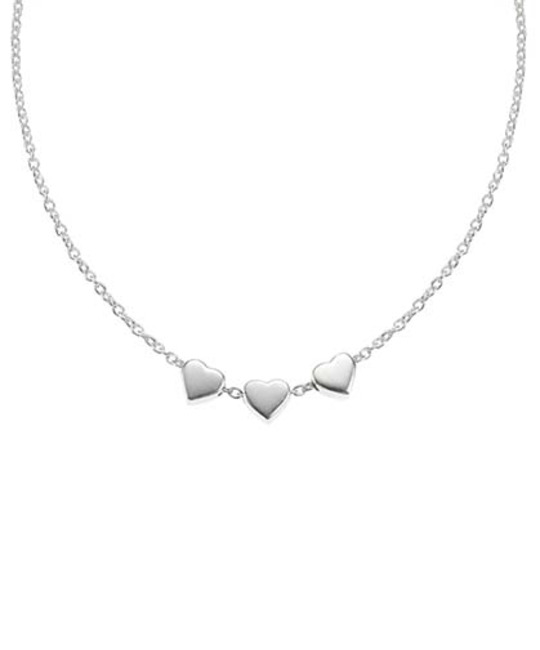 A divinely pretty necklace featuring three adorable little hearts which slide gracefully along the chain. The sterling silver necklace also features the Molly Brown logo tag and measures 16" with an adjuster at 14" to fit most ages. Designed to be loved and treasured forever the Dream Heart Necklace is a perfect gift for a baby's Christening, a girl's birthday so make her dreams come true with this beautifully designed keepsake gift. SILVER CARE: Polish with soft cleaning cloth. Best stored in a plastic sealed bag, to avoid exposure to oxygen and moisture.